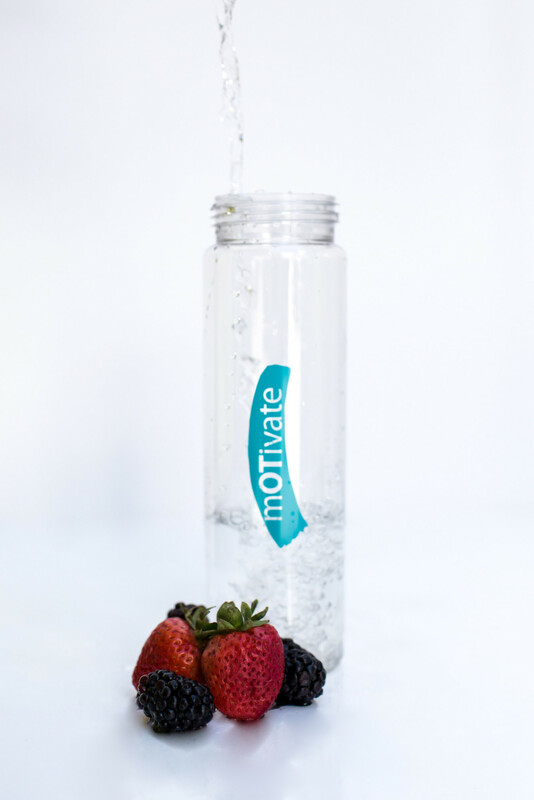 Show you are proud to be an OT with the original mOTivate water bottle. 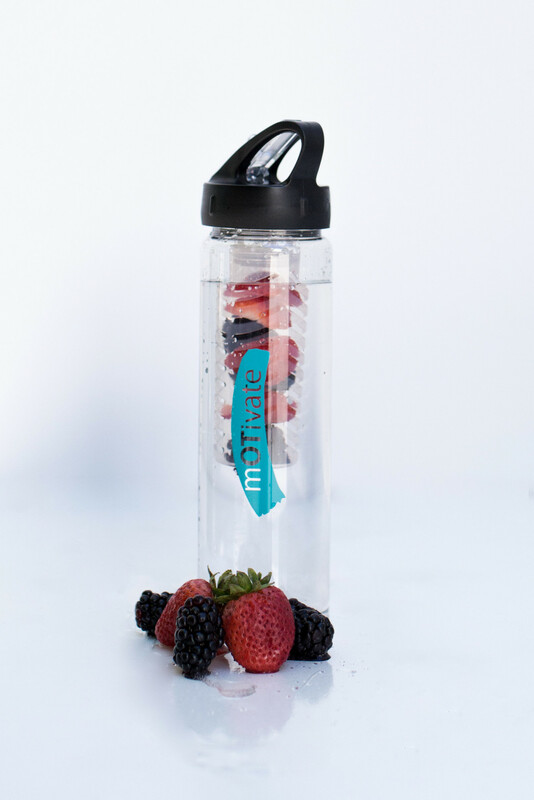 Water bottles are high quality, BPA free plastic with a twist-on lid and flip-top drinking spout. 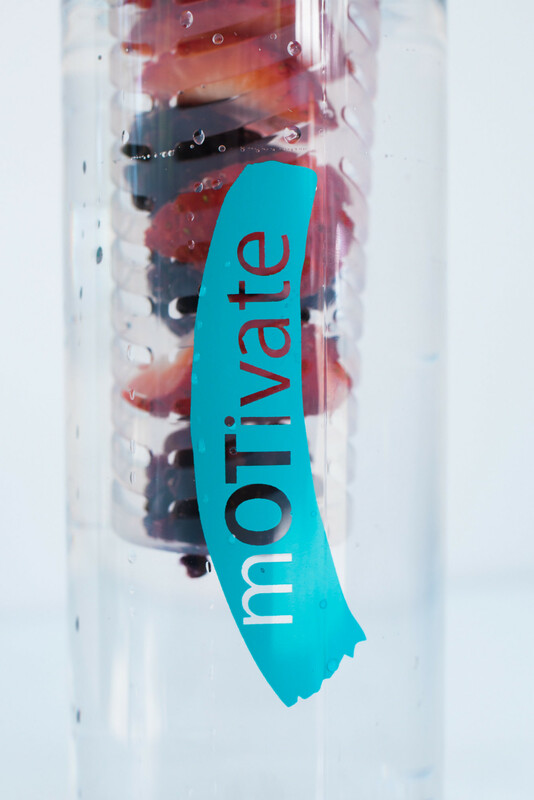 They include a twist-on fruit infuser lid and have measurement markings (in ounces) on the bottle.